The sun protection DUETTE Honeycomb pleats is an innovation fulfilling ecological aspects as well as delivering high quality and functionality and a good design. The double tissue layer of the honeycomb pleat looks calmly; at the same time, the air cushion works energetically. In the summertime, it reduces the thermal absorption of the windows, in the wintertime it reduces the loss of heat. 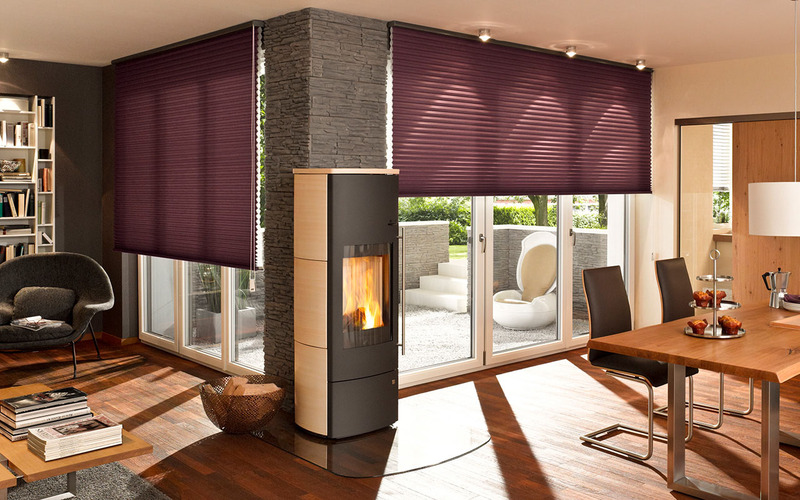 The DUETTE honeycomb pleats work as light, sight and sun protection and create a steady influx of light. Based on its product characteristics, the DUETTE honeycomb pleats are suitable for small windows as well as for large areas, e.g. in practice or office rooms. The DUETTE honeycombs pleats are available in different tissues and different colours.